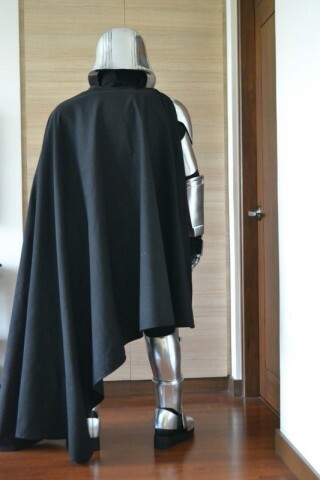 Captain Phasma Armor Build « Adafruit Industries – Makers, hackers, artists, designers and engineers! Star Wars: The Force Awakens is just hitting theaters this week. Finally. The film will be inspiring cosplayers for years (probably decades) to come and already is. 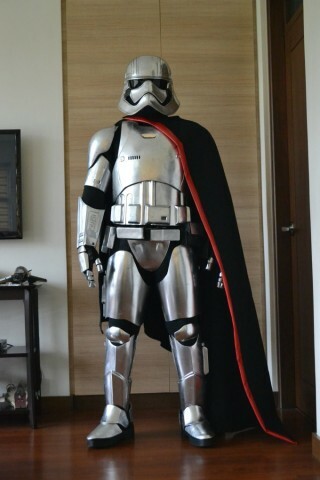 Replica Props Forum (RPF) user jimmiroquai started on a full set of armor inspired by Captain Phasma. He used reference photos from the display of the armor at D23 Expo and a First Order stormtrooper action figure too. 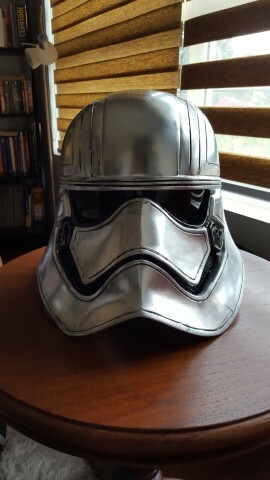 He dealt with making the armor and helmet first before worrying about the chrome finish. He ended up going for glossy paint with polyurethane clear and then chrome paint. The catch is apparently chrome paint doesn’t work with a top coat. To avoid having to keep the paint in pristine condition (which would be almost impossible anyway), Jim went for a more weathered look. Read more about the build at The RPF.